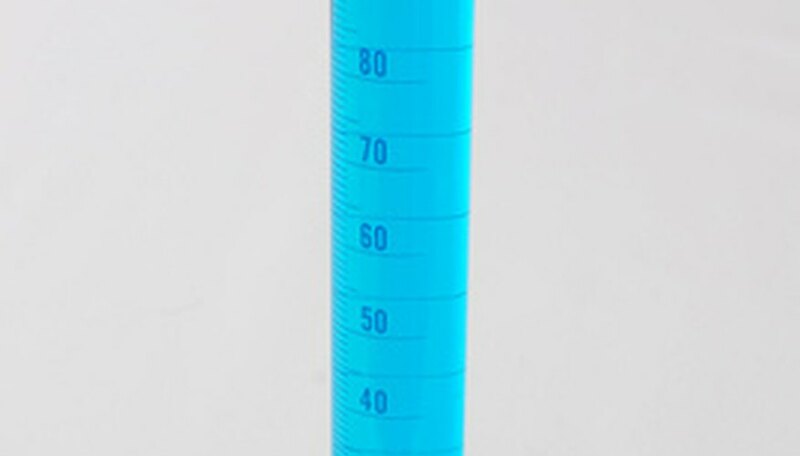 Graduated cylinders are thin glass tubes used to measure the volumes of liquids. The process of calculating volume using a graduated cylinder is straightforward, but certain steps must be taken to ensure an accurate reading and maintain a safe working environment. Once you familiarize yourself with the procedure, you will be able to repeat the steps with confidence and quickly measure small amounts of liquids. Select a cylinder that is large enough to hold the volume of liquid being measured. Confirm that the tube is clean and dry. Unwanted particles or drops of liquid in the cylinder could throw off the measurement. Steady the tube with one hand while pouring the liquid you are measuring into it from another container. Graduated cylinders are thin and can be tipped over easily, so take special care when working with noxious or volatile liquids. Hold the cylinder at eye level to take a reading. Ensure that it is hanging straight down. Avoid crouching to read the cylinder while it is resting on the table; if jostled, the container could tip over and pour liquid onto your face or torso. 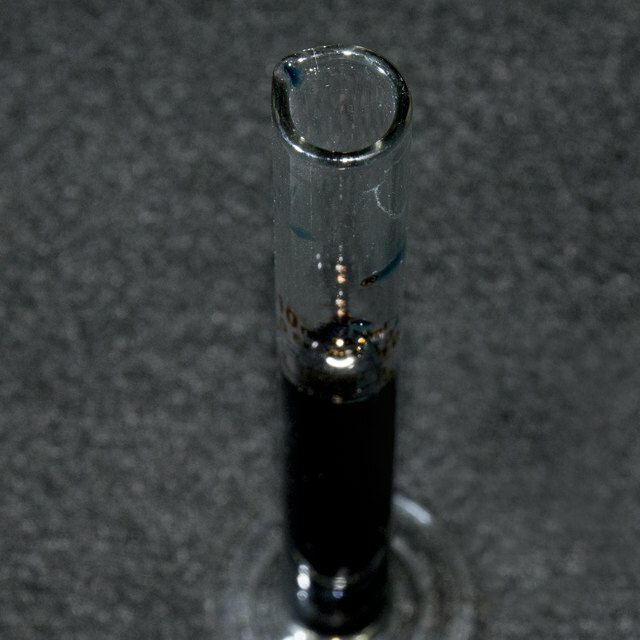 Take the liquid measurement at the very bottom of the dip in the surface of the liquid. This dip is called the meniscus; it forms because liquid molecules are more attracted to the glass than they are to each other. Look at the horizontal lines on the side of the cylinder. Ascertain to which line the meniscus is closest. Determine the increments of measurement on the tube. For example, if the area between the 40ml mark and the 50ml mark is divided into ten segments, each segment represents 1ml. Locate the closest whole measurement below the surface of the liquid. Count the number of segments up to the line nearest the meniscus. Calculate the volume of the liquid by adding the whole measurement to the sum of the segments. Barkan, Kristy. "How to Measure Liquids Using a Graduated Cylinder." Sciencing, https://sciencing.com/measure-liquids-using-graduated-cylinder-7514485.html. 24 April 2017.